City Dubs June 23 Buddy’s Pizza Day in Detroit! 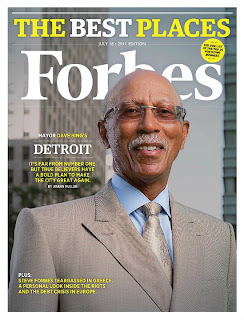 When we made the unorthodox decision to feature Detroit on the cover of Forbes’ list of the Best Places for Business, we knew there’d be some snickering and catcalls. This is a city, after all, that’s been beaten down for so long we’ve come to expect the insults. But anybody who takes a moment to stop spewing outdated cliches about the city would see that Detroit right now really is a land of opportunity. The barriers to entry for business are fairly low, and getting lower. Real estate is cheap, there’s an abundance of skilled workers seeking jobs, and the business tax structure has improved dramatically under new Gov. Rick Snyder. Boosterism aside, Detroit is still facing some really serious problems: failing schools, high unemployment, urban blight. And Mayor Dave Bing has his hands full trying to revitalize the city while saddled with a $185 million budget deficit and a shriveling tax base resulting from the exodus of 25% of the city’s population over the past decade. 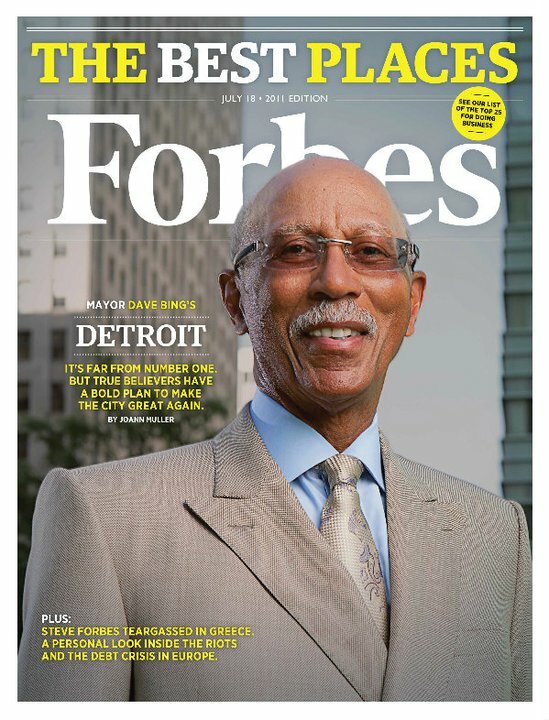 Click HERE for the rest of the article and to watch videos with Bill Ford, Jr., Mayor Bing, Roy Roberts, and more! Detroit-based Franco Public Relations Group (Franco) received a Detroit Renaissance Award of Honor from the International Association of Business Communicators (IABC) for its social media efforts on behalf of Panera Bread’s Day-End “Doughnation” program. Franco’s Jim Miller, account manager, and Joe Ferlito, account executive, created a video about the Panera program to share with the WXYZ-TV #backchannel hashtag on Twitter. Franco tweeted Stephen Clark, WXYZ anchor and #backchannel producer, and worked with him to reproduce the video for a WXYZ news segment that aired during the “Detroit 20/20” program. The Day-End Doughnation program donates unsold bakery products to local food banks and charities at the end of each day. Annually, Panera Bread bakery-cafes collectively donate a retail value of more than $50 million worth of bread and baked goods. Established in 1964 in Detroit, Franco is Michigan’s oldest independent public relations firm. Its services include traditional and social media relations, crisis management, community relations, event planning and branding. Franco represents clients in manufacturing, retail, technology, nonprofit, professional services, entertainment and health care. For more information, visit www.franco.com. Pick Mi Date Will Get Your Motor Running Their V.I.P Date to the Gold Cup Races!! Pick Mi Date Will Get your Motor Running By Sea With the Detroit APBAGold Cup Races and by land with Andiamo Restaurant!!! Pick Mi Date is Sending Two Lucky Winners to Detroit APBA Gold Cup Hydroplane Races on the Detroit River Saturday, July 9th!!! Winners Receive Two VIP Tickets to APBA Club Gold Cup! BBQ Catered Gold Cup Lunch and Open Bar! Cold Pit Passes (see all the action happen)! You Must Sign Up As a Dater By Sunday, July 3rd 2011! Voting Begins at 9am Monday, July 4th! Vogue Magazine Features McClure's Pickles in "10 Reasons To Love New York This Summer"
You can take it with you. . . .
What: The Perfect Picnic, a brand-new boutique company delivers locally sourced picnics anywhere in the city, whether you’re planning a night at the Met Opera in the Park, spending the day on Governors Island (they will meet you at the ferry), or simply dining al fresco on your roof deck. They can also provide a perfect platter of artisanal cheeses and cured meats for a pre-dinner party hors d’oeuvre, or put together a delightful Hamptons hostess-gift basket. For the full list, click HERE! A Detroit original celebrates 65 years with Motor City Pizza Collection, customer appreciation deals and Kid Rock specialty pizza. Buddy’s Pizza has long been a Detroit original. After 65 years in business, the restaurant that created the first square deep dish has a day to call it’s own. June 23 is Buddy’s Pizza Day in Detroit. 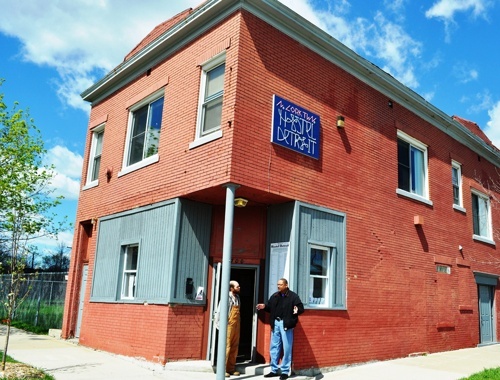 Detroit City Council President Charles Pugh made it official by presenting a resolution to Robert Jacobs, owner of Buddy’s Pizza, at the restaurant’s original location. The mayor’s office issued a proclamation supporting the day, signed by Detroit Mayor Dave Bing. Then, Buddy’s Pizza presented some news of their own. Jacobs unveiled the Motor City Pizza Collection, four new pizzas on the Buddy’s menu which are each associated with and benefiting a non-profit cultural institution in the metro Detroit area. · The Detroit Institute of Arts – Topped with spinach and artichoke blend, capers, roasted tomatoes, parmesan and served with a fresh lemon wedge. · The Henry Ford – Topped with red onion, seasoned ground beef, smoked bacon, bleu cheese, tomato basil sauce and parmesan. · The Detroit Zoo – Topped with fresh basil, pine nuts and tomato basil sauce. When customers purchase any of these pizzas from the menu, Buddy’s will donate $1 will to the non-profit institution throughout 2011. To show their collective support of the Motor City Pizza Collection, Director Ron Kagan of the Detroit Zoo; Annmarie Erickson, executive vice president of planning and administration at the DIA; Christian Overland, executive vice president of The Henry Ford and President and CEO Tony Michaels of Parade Company, which produces America’s Thanksgiving Day Parade were on hand June 23 to celebrate Buddy’s Pizza Day in Detroit. Buddy’s Pizza is always willing to experiment with new recipes. That was the case when the original 6 Mile location began selling Kid Rock’s American Badass beer. Not only will you find the lager behind the bar, you can taste it incorporated into the famous crust of Buddy’s own Kid Rock’s Badass Detroiter pizza. A true celebration of Detroit in time for the restaurant’s 65th anniversary, the rocker was kind enough to lend his name and beer to the new menu offering. 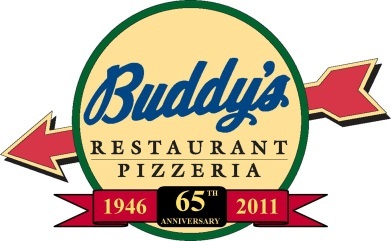 Buddy’s Pizza intends to share that pride with their customers throughout this, its 65th anniversary year. The restaurant is offering customer cards with monthly deals. Once a month through December 15 cardholders can purchase an 8-square cheese pizza for $6.50 and add extra toppings for 65 cents each. Win A Date To The Largest Global SM Party & Night’s Stay at MotorCity Casino Hotel! Charge Those Phones, Cameras, Laptops and iPads! Pick Mi Date is Sending Two Lucky Daters to the Second Annual Mashable.com Social Media Day, hosted by Livio Radio and MotorCity Casino Hotel! This year’s theme is Detroit Rock City! We’ll celebrate all things Social Media while focusing on everything great about the Motor City. There’ll be special guest DJ’s funky-ing up the joint, a tweeting Ford Fiesta (featuring the new Livio Car Internet Radio app), oh and the Detroit Red Wings and Detroit Tigers Social Media crews will be stopping by along with Special Celebrity Skype-Ins! Only 1,000 tickets are available! Last year’s event sold out early and this year’s is on its way! 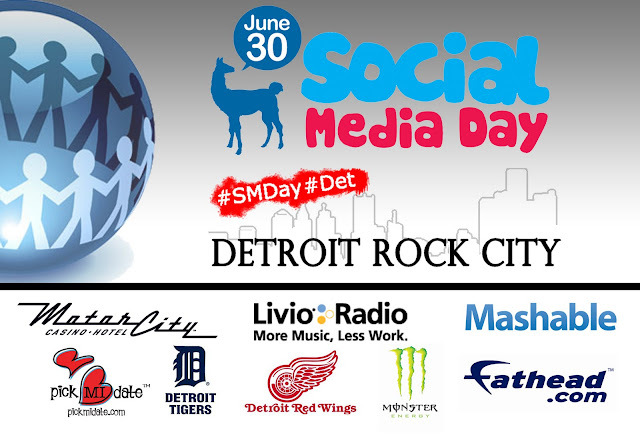 Winners Receive Two Tickets to Mashable’s Social Media Day Detroit at Soundboard at the MotorCity Casino Friday, June 24th 2011 from 7pm – Midnight! Food and Drinks Will Be Provided! V.I.P Private Table at the Official After Party at Amnesia Ultra-Lounge from Midnight – 2 am! Each Winner Receives Their Very Own Hotel Room At the MotorCity Casino Hotel! You Must Sign Up As a Dater By Sunday, June 26th 2011! Voting Begins at 9am Monday, June 27th! The 5th Annual Detroit River Days Starts Tomorrow, Thursday June 23rd! Presented by the Detroit RiverFront Conservancy, the 5th Annual River Days is a one-of-a-kind festival taking place along the Detroit Riverfront – from the new Detroit/Wayne County Port Authority Terminal Dock, just west of the GM Renaissance Center, to Rivard Plaza and the William G. Milliken State Park. The festival takes place Thursday, June 23- Sunday, June 26, 2011. River Days is a celebration of Detroit’s RiverWalk with activities on land and water. Experience all the RiverWalk has to offer, from the tall ships, jet-ski demos and riverboat tours to live music, sand sculptures, bike tours, kids activities, delicious eats and much more! Admission to River Days is $3 to support the non-profit Conservancy, but everyone has an opportunity to take advantage of the Ambassador Bridge Company's Free Friday promotion. Admission to the festival is also free on Thursday. Click HERE to learn more. We're often told that Detroit has been abandoned—but the metro area is stable, and addressing sprawl is still a challenge. At the bottom of this post are two short videos about Detroit, both featuring architect and planner Mark Nickita, principal of the city's Archive Design Studio and a lifelong Detroit resident. In a very refreshing change from the mind-numbing negativity one usually hears about the city, Nickita is upbeat and hopeful. His point of view, emphasizing revitalization, is much closer to my own than much of what I read, which effectively takes the approach that the city has somehow been abandoned beyond redemption, leaving the only question how to manage its more-or-less permanent shrinkage. There has indeed been a decline in part of the region. In 1970, 1,670,144 people lived within the city limits of Detroit. By 2010, that number had declined to 713,777, an astounding apparent loss of some 57 percent of the 1970 population. Recently, much has been made the 25 percent population decline over the last decade, from 2000 (951,270) to 2010. But the extent to which Detroit is such a tragically "shrinking city" depends on your definition of "city." 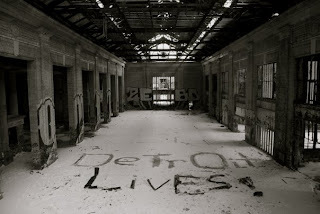 The population of metropolitan Detroit—the jurisdictional inner city and its immediate suburbs—did decline from 1970 to 2010, but only from 4,490,902 to 4,296,250, a loss of only 4 percent. Big difference. Do the math: What that means is that, while the inner city's population was declining so drastically, its suburbs added some 761,000 people, growing at the handsome rate of 27 percent. (In the most recent decade of 2000-2010, the suburbs added some 91,000 people, or between 2 and 3 percent.) Patrick Cooper-McCann writes on his blog Rethink Detroit that, far from shrinking, the physical size of metro Detroit grew by 50 percent in those 40 years. As I've written before, neither the economy nor the environment pay attention to jurisdictional lines; neither should analysts. 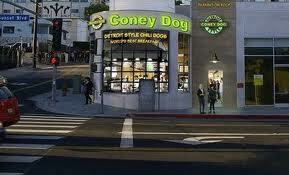 Coney Dog opens today on Sunset Boulevard in West Hollywood and we'll be frank: these people are serious about their chili dogs. Steamed buns, anyone? Customers will be relieved to know that what makes up these dogs is no mystery. 80% pure ground beef and 20% pork, the Coney dogs contain no added fats, parts, fillers or thickeners. The chili is custom made and shipped from Detroit unless you prefer vegetarian which is homemade daily. In most cities, the opening of a youth hostel might not be all that big a deal. But Detroit isn't most cities, and in an era when most of the news is bad, new things, positive things — well, the locals pay attention. A lot of it was about being in the right place at the right time. Hostel Detroit (it sounds like the title of an upcoming Eli Roth movie, but it's really not) made its debut this spring in Corktown, Detroit's oldest neighborhood. Once a bastion of traditional Irish-American culture, Corktown has become a place to see Detroit at its coolest. In this historic section of the city, settled nearly 200 years ago, you can see a Detroit that is on the verge not just of renewal, but also in the process of forging a whole new identity. In a town that most people identify with the old lunchpail, punch in, punch out mentality, an explosion of DIY is leading Corktown (and the city at large) into the future. Here, you can now see artists working to re-appropriate forgotten spaces as public art. You have urban farmers making productive use of vacant land, taking the idea of eating local to the extreme. You have the city's most talked-about restaurant (an excellent barbecue joint), a record store, a Martiniquais (by way of Paris, Brazil and Brooklyn) making crepes, a cool little vintage boutique, two brothers selling freshly-made bagels out of their apartment, a sustainable food truck and, soon, a speakeasy-style cocktail lounge and a third-wave coffee bar. And then there’s the occasional energetic redhead, brimming with enthusiasm, who decides to open a youth hostel. Doerr found a building, on a desolate (or quiet, depending whom you ask) block of North Corktown. She worked with business advocates, city inspectors and hordes of tireless volunteers (who are all honored on a plaque at the hostel’s entrance) to formed the nonprofit’s board of directors. It opened its doors within six months. They provide affordable private-room and dorm-style lodging with easy access to public buses. They will also offer ambassador programs for out-of-town guests. Kristyn Koth of the Pink FlaminGO is no stranger to the do-it-yourself concept either. Last summer when the US Social Forum had its summit in Detroit, hundreds of hungry campers were sleeping outside in vacant lots by her home. She already had the retro shiny silver Airstream, so she started serving food and never stopped. 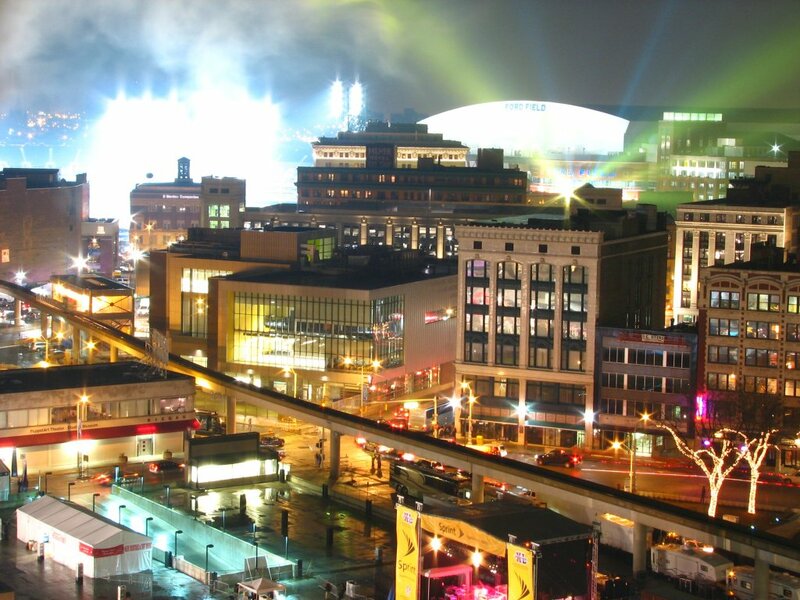 AIA Detroit Urban Priorities Committee To Host “Detroit By Design” This Wed, June 22nd! The American Institute of Architects Detroit’s Urban Priorities Committee (AIA-UPC) announced that it is hosting a series of exhibits and discussions focusing on transportation, urban centers and urban agriculture at the Detroit Public Library. Called “Detroit By Design” and sponsored by the AIA National office in Washington, D.C., this three-month event seeks to assist the city with its efforts to reorganize by helping with the Detroit Works Project (DWP) while bringing together architects, community and business leaders, public officials, allied professionals and other key stakeholders in the region. In each of the three symposiums in April (Transportation), May (Urban Centers) and June (Urban Agriculture), participants will discuss the specific theme as it relates to the Detroit’s current status, its historic efforts, and the Detroit Works Project. Through this collaborative public event, the UPC, a group of volunteer architects, seeks to bring design awareness to the communities and promote sustainable communities in the city and region through collaboration. 1:00 PM - 4:00 PM Community Workshop (Explorer’s Conference Room) Speakers will discuss the role of urban agriculture and landscape in the design and planning of sustainable communities and regions. Participants will bring a larger view of urban landscape that includes urban agriculture to the discussion. We seek to broaden the discussion of urban agriculture to include productive landscapes of various types that may provide alternative ways to address Detroit’s vacant land. Participants will discuss the projects in the Urban Agriculture exhibit, as they pertain to Detroit. The attendees will discuss key lessons, and explore how they can be beneficial to the City and the Detroit Works Project (DWP). The workshop will be moderated by the Urban Priorities Committee (UPC) members and Marja Winters. Panelists will have a discussion on the outcomes of the community workshop and the keynote presentation, explore how the City and the DWP can benefit from the ideas and proposals generated from the afternoon sessions, make recommendations for Detroit, and wrap up the Urban Agriculture + Landscape symposium. Jeff Klein, Classic Landscape, Ltd.
Gary Wozniak, Chief Development Officer, SHAR Foundation, Inc. 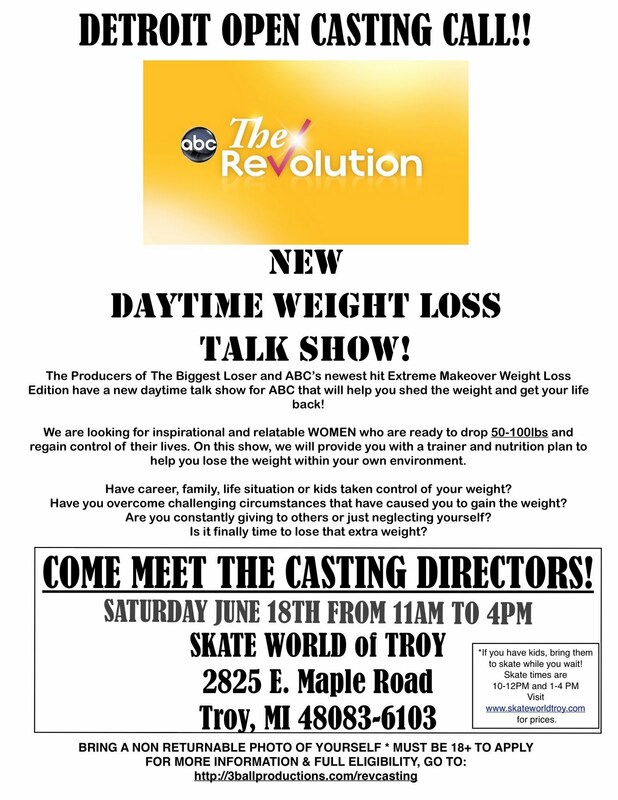 The Producers of The Biggest Loser Are Coming To Detroit To Cast a New Talk Show This Sat., June 18th! Lemonade Day Detroit This Sunday: Teaching Local Children Business Skills! 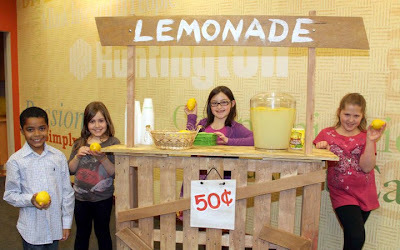 Children from all over Metro Detroit will have lemonade stands for Lemonade Day Detroit June 12, a free, community-wide program dedicated to teaching children how to start, own and operate their own business through the simple and time-honored act of building and running a lemonade stand. Through the program, the youth of Oakland, Macomb and Wayne counties will learn real life skills that teach them experiential learning by starting, owning and operating their own business, which gives them the opportunity to “spend a little, save a little and share a little,” donating a portion of their profits to a local charity of choice. After covering their expenses and paying back their investors, children are encouraged to open a youth savings account. Below is a list of local stands . All times are for Sunday, June 12. Vivian is doing an interpretation of fortune cookies: Each person who purchases lemonade will have a fortune on their cup! World renowned skateboarder, Tony Alva will make an appearance at Modern Skate Park in Royal Oak on Sunday, June 12 at 4 p.m. The Vans sponsored tour also features Bill Danforth. This free event will feature live local bands, barbecue and other special surprises. There is a $10 and a canned good donation for admission for those who want to skate at the park with Alva. Gleaners Food Bank will be taking donations of canned goods. Alva, 53, is the world’s first professional skateboarding champion. He won the title in 1977. Alva is also the first professional skateboarder to successfully market himself as a brand name. He owns and operates Alva Skateboard Company in Oceanside, Calif. Alva was featured in the award-winning documentary, “Dogtown and the Z-Boys.” He also served as a consultant and stunt coordinator for the movie, “Lords of Dogtown” which is based on his life. Alva is considered to be the originator of vertical skateboarding. He continues to develop new technology to advance the sport he loves. Modern Skate & Surf started with one shop in Royal Oak in 1979. The company now operates three locations, Royal Oak, Grand Rapids and Lansing. Modern Skate & Surf also has skate parks in Royal Oak and Grand Rapids. The Royal Oak skate park is 80,000 square feet and is the sixth largest skate park in the U.S. It’s so big that it’s both in Royal Oak and Madison Heights. It was designed and built by world class X-Games ramp builders, Team Pain, in 2008. The skate park features a $70,000 wood bowl. Click HERE for more information about the Modern Skate Park event featuring Tony Alva and Bill Danforth. The Detroit Foundation, a new non-profit organization aiming to restore the creative spirit and passion for the city with fellow Michiganders and pro-Detroiters, launches its inaugural granting campaign, “Fuel Detroit” today. The month-long campaign calls on Metro Detroiters to submit grant proposals via its website for projects which benefit the city and help grow the local creative economy. for the city I love." order to help the city recover from recent downturns in the manufacturing and housing markets. Pledged donations of professional services, especially legal and accounting work, is welcome from interested volunteers. Also donations of any amount are welcome via Paypal at give@detroitfoundation.org, with voting memberships start at $99. For more information on The Detroit Foundation, visit www.detroitfoundation.org or on Facebook (facebook.com/detroitfoundation) and Twitter (twitter.com/dfoundation). For decades Fireman's Fund and National Trust Insurance Services, as part of the National Trust, have insured historic properties from the Newport Mansions to the restored Victorian in your town. Together we are sponsoring the This Place Matters campaign to highlight the important role that historic buildings and properties play in preserving our national heritage as well as in preserving our environment. There is no better way to protect places that matter than with proper insurance coverage. Hurry! Voting Ends June 30th! 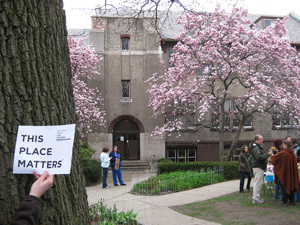 Click HERE to Vote for the Detroit Waldorf School (blue button in the upper right hand corner)! The Detroit Waldorf School is a place that matters because we are committed to using our historic building as a gathering place to bring people of all different backgrounds and ages together to learn, play, and revitalize our community. The main entrance to the Detroit Waldorf School, located in the section of the building that dates to 1923. We embrace an educational methodology that draws tremendously from the natural world and an appreciation of beautiful surroundings, making this inviting structure the perfect "home" for our school. Visitors frequently comment on the warmth and love one feels upon entering the building. This is due "in great part" to Kahn's efforts to design a school suited to the smaller scale of young children and a design aesthetic that evokes the warmth of a residence. There is important synergy between the inviting nature of the building and Detroit Waldorf School's intent to be accessible to as many people, from as many diverse walks of life, as possible. Interestingly, our building and the Waldorf educational system were being designed at roughly the same time. While not intentionally built to house a Waldorf school, the building nevertheless is suited perfectly for use as a Waldorf school. The Detroit Waldorf School is one of only two schools among the mostly residential properties that comprise the Indian Village Historic District. During the early 20th century, it was accessible to families who were building magnificent homes in the area. Throughout more difficult decades in Detroit's history the school has been a literal "anchor" for the Indian Village community, ensuring that the neighborhood has continued to be a desirable place to live for more than 350 households. While building was originally designed to serve the children of some of Detroit's wealthiest families, today the school seeks to serve the broadest possible audiences. Sixty percent of our students receive tuition aid and our school's families include people of all colors and religious backgrounds from both urban and suburban neighborhoods. Through a full range of public programs, our school is increasingly relevant in the context of revitalization efforts in Detroit's East Village neighborhoods. We are an active partner in broader community efforts using even our own school fundraising events to draw attention to and benefit other local nonprofits that serve the hungry and homeless in our area. And, an annual roster of outreach programs reaches over 700 adult and youth participants from around metropolitan Detroit with film screenings, lectures, hands-on workshops, parent-child classes, community service activities, and other offerings that support lifelong learning and a sense of community. The Detroit Waldorf School is a place that matters because it connects our school and neighborhood to local history and generates optimism for the future among the broader Detroit community. BURGERS, WINGS, AND BEER. OH MY! 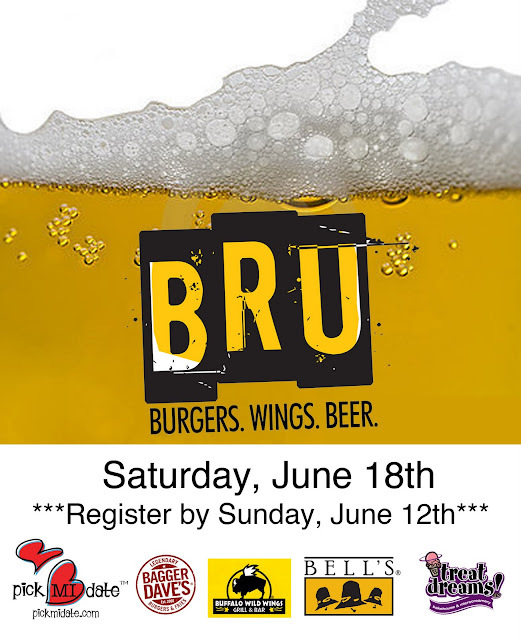 Winners Receive Two Tickets to BRU 2011 on Saturday, June 18th 7:00 pm – 11:00 pm at The Royal Oak Farmer’s Market Saturday, June 18th 2011! Ticket includes 10 tokens for 10 (5 oz.) beers, Bagger Dave’s Burgers, Wings From Buffalo Wild Wings, and Desserts from Treat Dreams! You Must Sign Up As a Dater By 5 p.m EST Sunday, June 12 2011! Voting Begins at 9am Monday, June 13th! It’s free to attend (with an RSVP) and guests will have a chance to learn more about each non-profit, along with how to volunteer or offer support. And in true Yelp fashion, there will be wine and appetizers for all guests as well as a drawing for special prizes from the likes of The Cupcake Station, Detroit International Jazz Festival, Sweet Lorraine's, Zingerman's and many other wonderful local businesses (full list below). What: Mingle with amazing Detroit charities who need help from local volunteers and supporters while enjoying complementary wine and appetizers (21+ only). 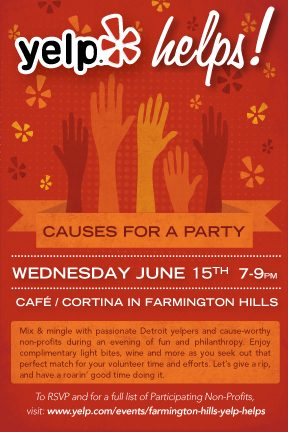 Wednesday, June 15th from 7:00 - 9:00 p.m.
Charitable Detroit area yelpers looking to find a good fit for their good will and 16 (and counting!) SW Michigan non-profits (full list below). 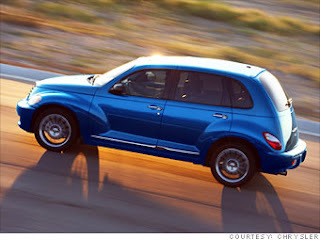 Exceprt from "10 Cutest Cars in America"
Launched on an unsuspecting public in 1999, the PT Cruiser was immediately dubbed "the car too cool to categorize." Depending on whom you talked to, its utterly original design was inspired by either a Chrysler Airflow, a getaway car for 1930s movie gangsters, or a Model A hot rod. Based on a Neon platform, the five-door Cruiser was both eminently practical and very profitable. As late as its fifth year on the market, Chrysler still sold 130,000 of them. The design would prove so iconic that Chrysler was unable to successfully update it, and production was ended in 2010. The current contender for the title of cutest car on the market, the 500 scores a rare triple in cuteness: It's small, curvy and friendly-faced. 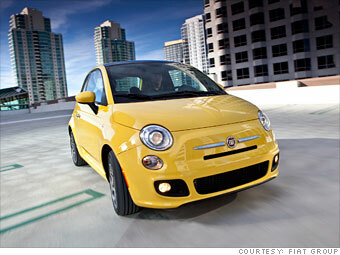 The 500 is even cuter if you use its Italian nickname "Cinquecento." A modern interpretation of Italy's beloved Topolino built between 1957 and 1975, it was reintroduced in its home market in 2007 and became a cult hit. Every Italian looks stylish in a 500. If Americans find it drives half as well as it looks, Fiat will have a winner. Still to be determined is whether the 500 will look as cute in Rochester as it does in Rome. For the full list of cars, click HERE! 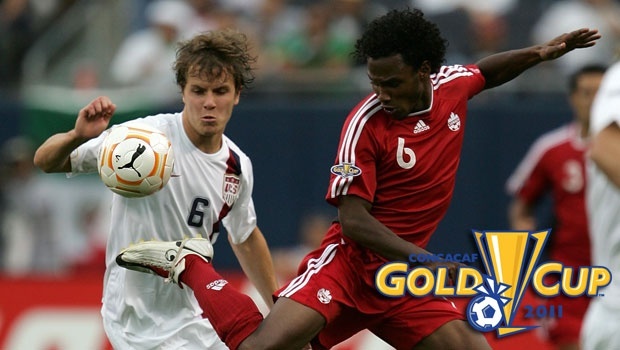 US To Open 2011 Gold Cup vs. Canada in Detroit This Tues., June 7th! As expected, the US national team’s hopes of returning to the Confederations Cup run right through their neighbors – but a little earlier than expected, and with a twist. Tuesday’s announcement of the draw for this summer’s CONCACAF Gold Cup sees the US kick off their campaign to recapture the regional championship against their neighbors to the north – vs. Canada on June 7 at Detroit’s Ford Field, a stone’s throw from the Canadian Border. Canada will get a chance to avenge their controversial last meeting with the US in the semis of the 2007 Gold Cup, in which the Canucks saw a late equalizer by Atiba Hutchinson waved offside. Bob Bradley's squad barely held on for a 2-1 victory and went on to hoist their fourth CONCACAF title. The US hold a 12-8-9 all-time record against Canada. Joining the US and Canada in Group C of the Gold Cup are Panama and Guadeloupe. The US will face Panama on June 11 at Tampa’s Raymond James Stadium and will conclude group-stage play on June 14 against Guadeloupe at Sporting Kansas City’s new stadium, LIVESTRONG Sporting Park. Defending Gold Cup champions Mexico, meanwhile, were drawn into a rough Group A alongside Costa Rica, El Salvador and Cuba. El Tri open group play against the Salvadorans on the first day of the tournament, June 5 at Cowboys Stadium in Arlington, Texas. Mexico will then face Cuba on June 9 at Bank of America Stadium in Charlotte, N.C., and wrap up group play three days later against Costa Rica at Chicago’s Soldier Field. Honduras headline Group B, which also features Guatemala, Jamaica and Grenada. The 2010 World Cup participants will open group play against the Guatemalans on June 6 at the Home Depot Center in Carson, Calif. This summer’s Gold Cup will be played in 13 venues across the US, including four MLS stadiums. The quarterfinals will be held at New Meadowlands Stadium in East Rutherford, N.J., and Washington’s RFK Stadium on June 18 and 19. The semis will be in Houston’s Reliant Stadium on June 22 before the final at the Rose Bowl in Pasadena, Calif., on June 25. “We are extremely excited for this year's Gold Cup and are completely confident that it will be the best ever,” CONCACAF general secretary Chuck Blazer said in a statement. "We are bringing our fans the region's best football in fantastic venues – with a lot on the line. It is truly a can't-miss event." Eight-time winners Mexico won the last edition of the Gold Cup in 2009 with a 5-0 victory over the US in the final. Mexico and the US have met four times in the final, with the Mexicans holding a 3-1 edge. The winner of this summer’s edition books a spot in the 2013 Confederations Cup in Brazil. Thanks to their ’07 title, the US were CONCACAF’s representative at the last Confederations Cup in South Africa in 2009, when they went on a spirited run to the final, where they fell to Brazil. Pre-sale of tickets go on sale on Wednesday for one week only through local stadium box offices or local MLS teams. Tickets go on sale to the general public on March 16 through www.goldcup.org. For the full schedule of games, click HERE. Introducing Hatch Detroit: Crowd Entrepreneurship ReInventing Detroit! Can people on Facebook and Twitter pick a Detroit retailer? Nick Gorga and Ted Balowski think so. The two are in the early stages of Hatch Detroit, a contest for the best new Detroit retail idea. After taking submissions this summer, a winning idea will be selected through a multistage process, largely voting marketed through social media. The winner will get $50,000 and — the men hope — a lot of attention. "The reason to do this is that we think everyone who has a stake and cares about the city needs to do their part to revitalize the region and draw people in," Gorga said. "We see this as a way for us to do our part." Gorga said that while there are many incubator programs, Hatch Detroit is different because it is geared toward retail in the city and will be a grassroots movement. Balowski uses the term "crowd entrepreneurialism." He said they plan to harness the close-knit community of people in metro Detroit to feed new business in the city. "From a grassroots perspective, we wanted to look at how we can engage the community as a whole," Balowski said. "But I also wanted to look at this from the entrepreneur's perspective. How can we help?" The Hatch Detroit team plans to start a marketing blitz in the coming weeks. Starting July 1, they will begin accepting submissions for contestants through hatchdetroit.com. 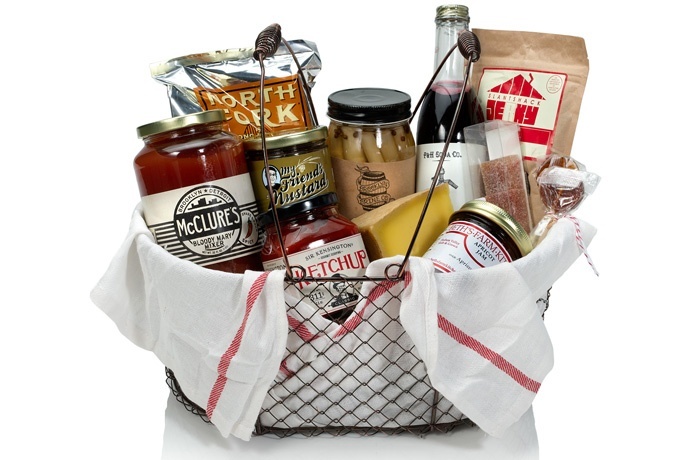 They are limiting the entries to businesses that involve selling something to consumers. Art galleries, coffee shops and retail shops are examples of the types of businesses they want included. Click HERE to read the rest of this story! The Producers of The Biggest Loser Are Coming To Detroit To Cast a New Talk Show! They are looking for inspirational and relatable WOMEN who are ready to drop the weight and regain control of their lives. On this show, we will provide you with a trainer and nutrition plan to help you lose the weight within your own environment. Have career, family, life situation or kids taken control of your weight? Have you overcome challenging circumstances that have caused you to gain the weight? Are you constantly giving to others or just neglecting yourself? Is it finally time to lose that extra weight? If you answered yes to any of these, then this is your chance to turn it all around! Since you’ve been focusing on others, finally, here’s a show that is focusing on you! When sending an e-mail please put your City/State as the subject line. 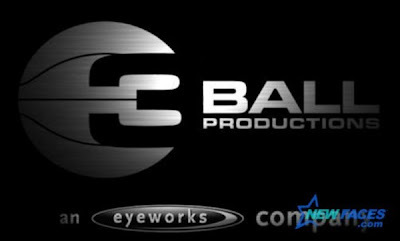 3 Ball Productions / Eyeworks USA, the producer behind some of television’s most transformational programs is producing this new health and fitness talk show for women with 50-100lbs to lose. If selected, they will provide you with an experienced trainer, nutrition plan and the tools necessary to help you succeed. Michigan's only urban state park is planning to turn half of a more than century-old manufacturing site into something far removed from its ship engine-building heyday: an adventure and discovery center with rock climbing, zip lining and other outdoor activities. The transformation of the vacant Globe Trading Company complex is the jewel in the crown of a plan to expand and enhance the William G. Milliken State Park & Harbor across the street and turn the Detroit riverfront park into a launching pad of sorts for Michigan's nearly 100 state parks. The plans are backed by more than $34 million in grants from the Michigan Natural Resources Trust Fund, which collects royalties paid by oil and gas companies that lease state-owned mineral rights. The grants, approved in December and authorized by the state Legislature in March, also will be used to acquire several pieces of property around the park and public-use easements along the Detroit RiverWalk. State officials say stalled commercial redevelopment plans for vacant land and buildings in the area led to a deal for the Globe and are helping as they negotiate for other properties. "Ultimately the economy that has slowed down development in so many areas has actually worked to our advantage," said Vicki Anthes, planning section chief for the Department of Natural Resources' Parks and Recreation Division. "Nothing was happening with the Globe, and we saw it as such a pivotal point for a state park development," she said. "The $9 million grant (for the Globe) was proof we were serious." Anthes said the DNR is aiming to open the activity center in the fall of 2012, and it's working with the Detroit Economic Growth Corp. and the developer, Troy-based Labor Management Fund Advisors. The developer is seeking at least one more occupant for the remainder of the building, and is working out financing for the balance of the project. Besides the rock-climbing wall and zip lines, planners also envision an interpretive forest, archery range and classroom space in the gutted but structurally sound building. Anthes said they also are considering a kayak simulation ride as a rider might have on the river across the street. Anthes said they haven't found anything quite like it nationally, and it makes sense to create such a center in the largest city of the Great Lakes State. "The purpose is to introduce our public to the natural resources and state parks of Michigan," she said. "If you like that experience, why don't you go check out Hartwick Pines or one of the dunes parks on Lake Michigan?" The plans dovetail with the RiverWalk as well as the Dequindre Cut Greenway, a pedestrian and bike pathway built on an abandoned rail line that runs alongside the Globe. The neglected industrial complex began life in the late 1860s as the Dry Dock Engine Works, which had employed a young Henry Ford as an apprentice and at the turn of the 20th century was absorbed by the Detroit Shipbuilding Co., according to records compiled by the National Park Service. When that company dissolved in the late 1920s, the former engine building plant now part of the state park's plans was used by a stove manufacturer, the Detroit Edison Co., for appliance repair and finally the Globe Trading Co., which had been a machinery wholesale firm. John Mogk, a law professor at Wayne State University, said the park's plans sound like a "wise policy decision" in an area where manufacturing has all but vanished and private plans for waterfront redevelopment, including numerous retail and residential projects, have been shelved. Mogk said there is a tremendous amount of vacant buildings and land in the city, and "it is all lying unused in today's world of market demand." "Just about everything that is going to be converted for private economic use is going to require significant public subsidies," he said. "To put it into some kind of productive use even though it won't have the same kind of economic impact that private use might have is ... of value to the community. It may have a ripple effect on the area."